As well as announcing the new Galaxy S7 and S7 Edge at Mobile World Congress, Samsung also unveiled a range of other devices, one of those is the Samsung Charm. The Samsung Charm is a new wearable device that is designed to track your activity and it will work with a new app on your Samsung smartphone. 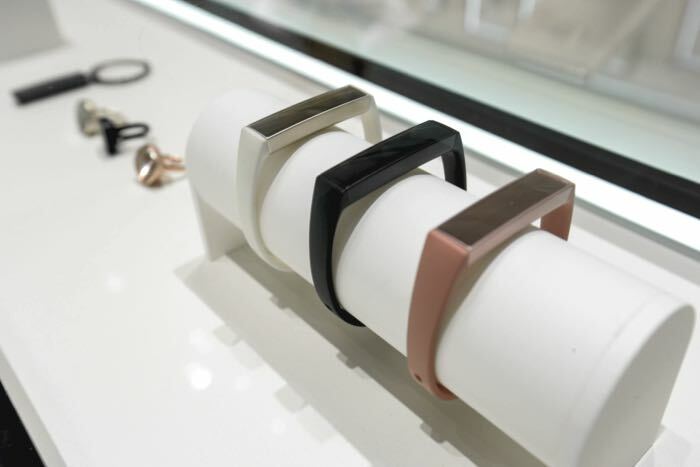 Charm is a lifestyle band to track your daily activities in a fashionable and minimal jewelry design. 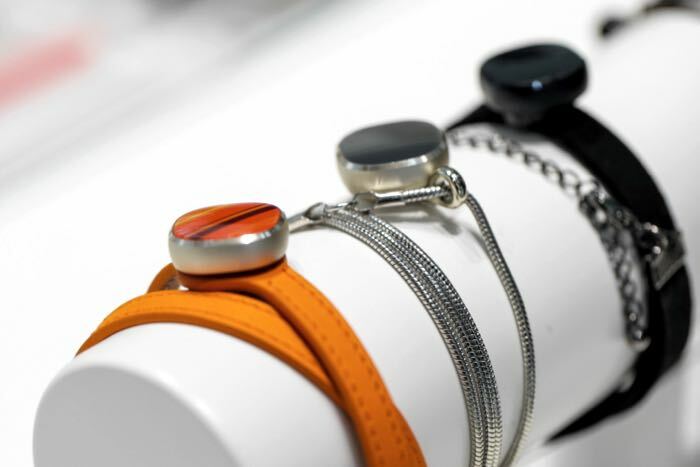 With a 17 mAh lithium-ion battery, the Charm can last up to 18 days (if the LED notifications are not in use), making it practical and easy to use. After installing Charm app, the Charm pairs with a Samsung smartphone via Bluetooth to create a smooth, instant connection between the devices. Once connected to your phone, Charm can send you notifications by LED to your aware of incoming or missed calls and messages. The Charm can also track daily activity like steps, distance and calories, and can sync with the popular S Health app, to help you reach your fitness goals. The Samsung Charm will be available in two different styles that can be seen in the photos above, as yet there are no details on pricing.